A cheer for our guests! 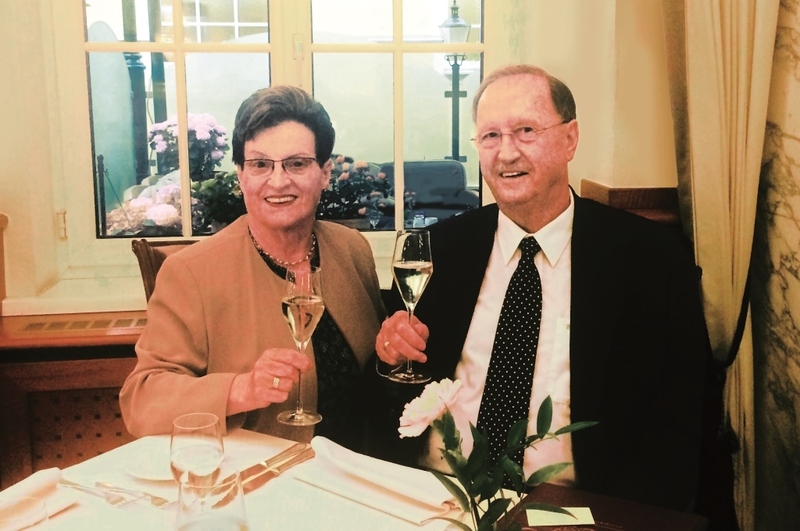 This time I would like to express the joy we have with our guests – with a special couple and an even more special occasion: On 25th May, 2018, Romana and Franz Berger celebrated their 50th wedding anniversary, the “Golden Wedding”, exactly at the place where they celebrated their wedding 50 years ago – in the Hotel & Restaurant Stefanie. The “Gold” couple sits relaxed in the restaurant, is surprised and delighted about congratulations on their big day. And I’m just as surprised: Romana and Franz Berger don’t seem like a couple, who have been married for 50 years. In front of me are two people “young-at-heart”, who radiate their vitality and their deep affection for each other. You can feel that immediately. 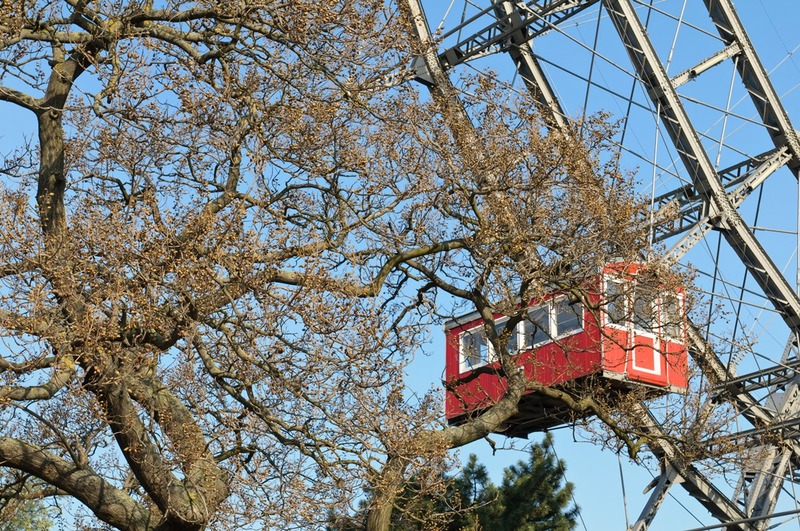 “We thought about where to celebrate our wedding day”, Franz Berger says. “It’s nice that Hotel Stefanie still exists after 50 years, so we decided to make a reservation here”, Romana Berger adds. 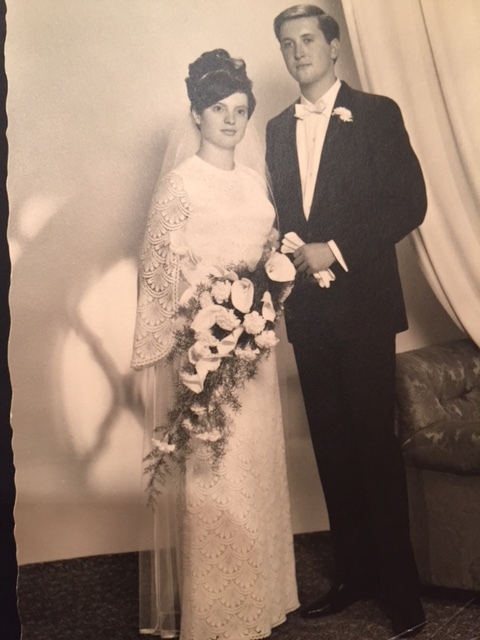 To my question, how it was then, they just pull out their smartphones and show me photos of their big day in 1968. The wedding was celebrated with about 35 guests. 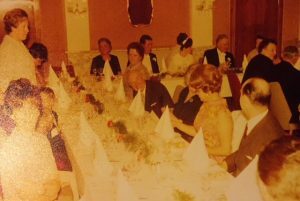 The tip to book at Hotel Stefanie came from Franz Berger’s mother-in-law – in 1968 she lived not far away in Vienna’s 2nd district. 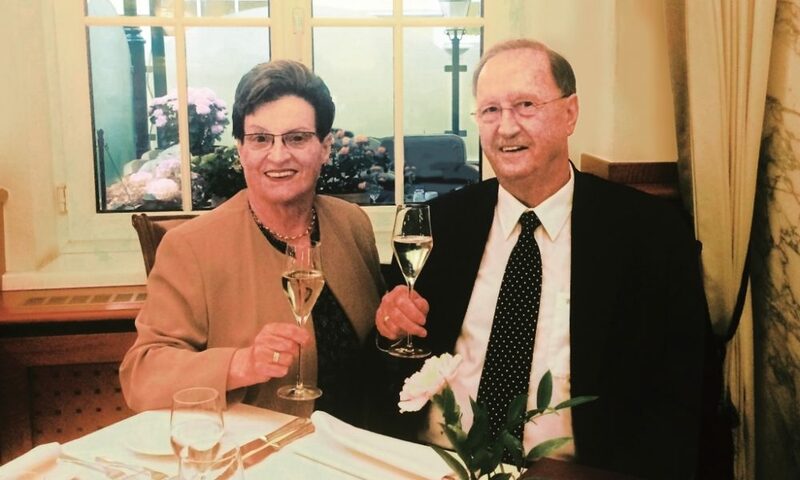 We would like to take this opportunity to cordially congratulate Romana and Franz Berger once again and wish them many more happy years together! Thank you very much for your trust in us – we look forward to seeing you again at Hotel & Restaurant Stefanie. Thank you for acceptance and consent to allow us to write about this beautiful encounter and for the photos from 1968 provided (Copyright © Franz Berger). Sincerely – Cornelia Jarosch.